With the “Absolute Advantage” scheme from Volkswagen, Collateral – The Storytellers scripted the newest story. 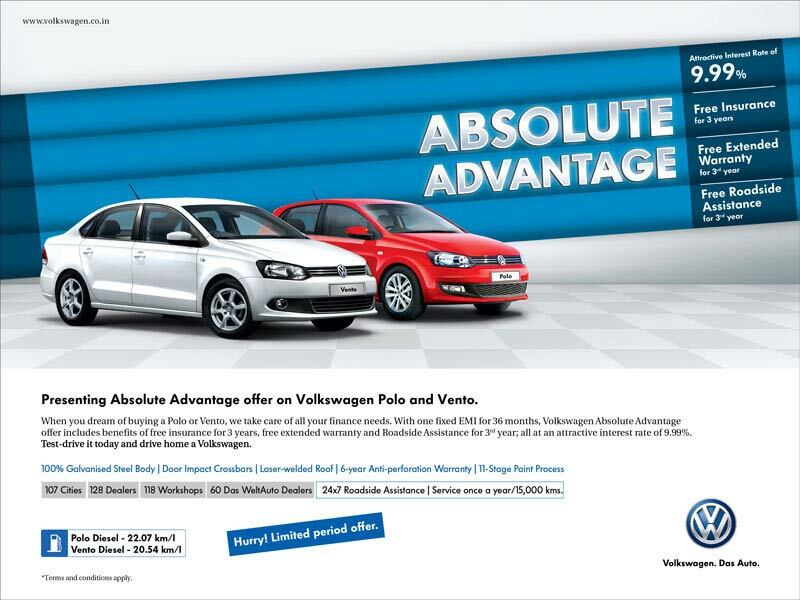 The scheme from Volkswagen offered the customers a chance to own a Polo or a Vento at an attractive interest rate of 9.99% with free insurance for 3 years and free extended warranty and roadside assistance for 3rd year. The communication elements were translated into press ads, tent cards, standees, hoardings and gate archs. It was an “Absolute Advantage” for sure to the customers who’s dream of owning a Volkswagen was about to come true.